Technology is infiltrating our lives with each passing day. Keeping with this trend, Indian doctors are embracing digitization like never before. A recently concluded survey by Docplexus revealed how surprisingly comfortable HCPs (Health Care Professionals) are with online media. In fact, an astounding 76% of the respondents vouch that the internet is an excellent way of gaining knowledge. Docplexus offers solutions for Indian doctors’ content and networking needs. Our key advantages include legitimate members; access to the latest, highest-quality unbiased content; an effective content format; and a forum that ‘unifies’ medical practitioners from far and wide. For our pharma clients, we offer a prime target audience, expertise and support for an omnichannel marketing strategy, analytics-driven insights, and a platform for ethical marketing. Thus, we are an excellent proposition for the medical as well as the pharma community. Before understanding how doctors benefit from their association with Docplexus, let us first delve into the pet peeves of the doctor community. What are the main problems faced by doctors? Interpretation of statistical and clinical trial data – Doctors do not have the formal training to interpret complex data, yet conventional medical resources are full of statistics. What makes it worse is that this information is a part of a 10-page article published in medical journals. Given their busy schedules, it is extremely tedious for doctors to read such exhaustive content on a regular basis. Limited avenues to network and consult with peers/specialists for challenging cases – Prior to the advent of online media, doctors had limited opportunities to interact with colleagues/seniors from their own or other areas of specialization. This not only created a sense of disconnect but also hampered their ability to stay abreast with the best practice management systems, optimal treatment paths, and health policy updates. They were also unable to seek immediate consultations from specialists and super-specialists on rare cases, which was a major problem during medical emergencies. Limited time and access to KOL interactions and CME programs – Doctors in semi-urban and rural areas find it challenging to upgrade themselves with the latest medical developments, owing to distance and time issues. CME programs are often held in metros and attendance necessitates being away from clinics for a couple of days. Limited knowledge not only restricts professional growth but also negatively impacts the overall quality of healthcare. Lack of access to unbiased information – Doctors are often unsure about the integrity of information provided by pharma. Dissemination of information pertaining to new molecules is interlaced with promotional activities like free samples, paid events and conferences and advertisements in medical journals. This creates suspicion about the authenticity of content. Docplexus effectively addresses all of the above-mentioned problems. #1 We register only certified allopathy practitioners – A common concern of medical professionals is whether the online networking forum is secure and the participants authentic. Dubious elements and quacks dilute the quality and effectiveness of information being provided, defeating the reliability and usefulness of the platform. Docplexus has a zero tolerance policy against illegitimate members. We conduct a thorough background check and validate each and every membership request. This ensures that only certified allopathy doctors gain access to our platform. #2 Quality interactions – Docplexus is a unique platform where HCPs can participate in discussions that add value to their practice. We offer opportunities for peer-to-peer exchange of information relating to complex patient cases, novel treatment options and the latest advances in life sciences. Apart from clinical information, the forum conducts discussions relating to practice management, health policy and medico-legal issues – basically, everything pertaining to the medical profession. On an average, about 300 discussions happen daily on Docplexus. So far our KOL webinars have had a cumulative audience of 25,000 doctors which has posted over 1000 questions. Members find us to be a great sounding board where they can exchange ideas and stay updated on healthcare trends. We are proud that our services facilitate 100 million improved patient outcomes every month! #3 Effective content format – Keeping in mind the paucity of time we have designed our content in a way that only the relevant and the most crucial information is presented. Our format allows for clear, crisp and concise clinical takeaways. This is a great boon for doctors juggling endless patient consultations and hospital visits. Our mobile and web-friendly portals ensure easy access and convenience for doctors constantly on-the-move. Since about 53% of the doctors use mobiles to go online, we have tailored our individual content pieces to not more than 1000 words (2-3 scrolls). #4 Unbiased content – Docplexus assures that the content on its platform is sans bias or discrepancies. It does not in any way tamper with drug-related information or sugarcoat any negative implications. This reinforces our commitment to equip doctors with real, resourceful content that ultimately improves medical outcomes. #5 We promote work-life balance and are fun too! 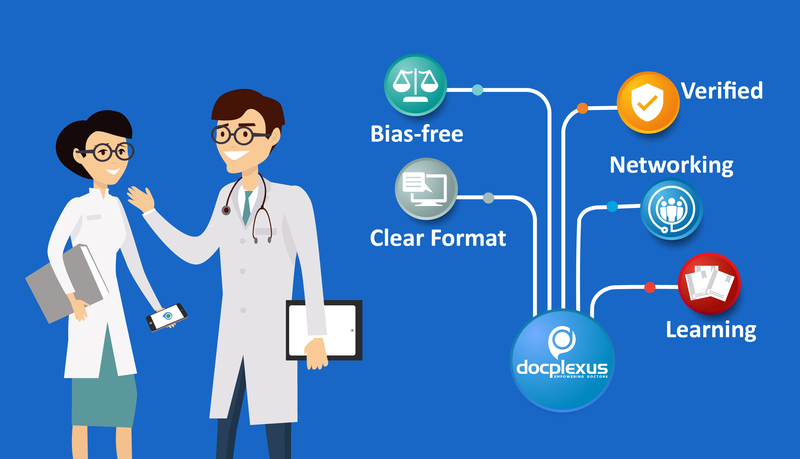 – Quick access to real-time updates on Docplexus frees doctors up to execute other responsibilities. Rather than spending considerable time with medical representatives in their clinics, doctors can access drug-related information from the convenience of their homes, at a time suitable to them. They can also opt for convenient online CME courses and attend KOL webinars. Thus, Docplexus allows them the liberty to CHOOSE what content they want to consume and when they want to consume it. 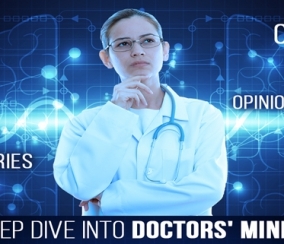 Docplexus is a single platform that fulfills doctors’ learning and networking needs. Medical professionals update themselves with the latest news as well as socialize with their colleagues/batchmates. Being exclusively for doctors, we lend a sense of unity and belongingness to medical practitioners. Moreover, all learning happens in our online community which makes it both social and fun! Why is this the perfect time for pharma to come on board? Imminent regulatory changes (UCPMP) – The Department of Pharmaceuticals is in the process of bringing out a pharma marketing policy and making the UCPMP (Uniform Code of Pharmaceutical Marketing Practices) mandatory. Voluntary at present, this code prohibits gifts, sponsored travel and hotel stay, monetary grants and other enticements from drug and medical device manufacturers to medical practitioners, and their families. This is bound to adversely affect the traditional pharma marketing activities. Docplexus makes way for ethical marketing and lets drug and medical devices vendors safely reach out to their core customers. Strong doctor presence – Docplexus is favored by over 160,000 HCPs across 84 specialties. With an average daily presence of more than 12,000 doctors, we are India’s most trusted online social community for medical professionals. No other platform brings together such a large concentration of doctors with varied specialties. Effective multi-channel marketing strategy – Healthcare solutions firm Indegene, in its Digital Savy HCP global survey – 2015, revealed that 90% of Indian doctors favored a combination of face-to-face interaction and use of digital media (tablets/iPads) during detailing. Docplexus’ own analysis reveals that over 70% doctors go online to procure drug related information. There is no denying the effectiveness of field force’s visits to doctors’ offices. However, in order for pharma marketing to break new grounds, this needs to be combined with well-planned digital marketing initiatives. An alliance with Docplexus is the best step forward towards a comprehensive multi-channel marketing strategy. Sound analytics coupled with a feedback loop to measure the outcome and engagement – Our expertise results in strong analytics which gives you accurate insights about your customers’ content preferences. Our structured feedback mechanism lets you measure the outcomes and engagement of your marketing efforts which leads to informed decision-making and effective resource allocation. This is greatly opposed to the clueless spray and pray marketing approach adopted by most Indian pharma companies. Internet proliferation – India’s telecom ministry estimates that internet users in the country will grow by at least 50 million each year till 2020. Factors like higher bandwidth availability, mobile net connectivity, more sophisticated devices and an upwardly mobile populace contribute to this phenomenon. The widespread availability of internet will ensure that even doctors located in the remotest places can access Docplexus. 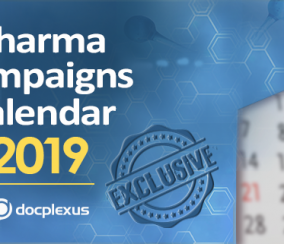 Thus Docplexus’ unique services effectively fulfill the needs of both – practicing doctors and pharma marketers. We are the right partners of two of the most important stakeholders of the healthcare ecosystem.